If you are into eSports gaming then you don’t really need an expensive graphics card for it, because most of the eSports titles are not that demanding and can be played comfortably on some of the powerful modern budget graphics cards. eSports, e-sports or electronic sports is a term associated with specific multiplayer games that are largely played online, in LAN or in video gaming competitions. eSports gaming is very popular across the world because these games are very engaging and it is fun to compete against real people and not just AI (artificial intelligence). The most common video game genres associate with eSports include Real-time strategy (RTS), Fighting, First-person shooters (FPS) and Multiplayer online battle arena (MOBA). Some of the most popular e-sports games include Dota 2, Overwatch, Counter Strike, Counter-Strike: Global Offensive (CS:GO), League of Legends, Heroes of the Storm, FIFA 17, StarCraft / StarCraft II, Call of Duty, Halo, Tekken 7, Street Fighter V, Hearthstone: Heroes of Warcraft, Smite, PUBG etc. eSports gaming is also known as competitive (video) gaming, professional video gaming or pro gaming. 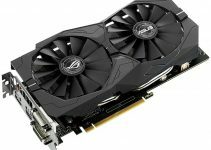 To enjoy most of the eSports titles you can get away with a decent affordable video card and here in this post I am going to list down the best budget graphics cards for eSports gaming. 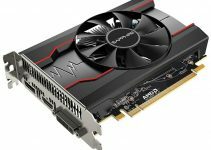 These graphics cards will let you play most of your favorite e-sports games on decent graphics settings (medium or higher) at 1080 resolution with comfortable frame rates. Also, you can use these graphics cards in a LAN Party Case to build a decent LAN Party PC. Here are the best budget graphics cards from Nvidia for eSports gaming. GeForce GT 1030 is the youngest member of the GeForce 10 graphics card series from Nvidia. It is an entry level budget graphics card and is based on the Pascal GPU architecture from Nvidia. The card comes with 384 CUDA Cores and 2GB GDDR5 memory having interface of 64-bit. Here we have an OC or Overclocked version of GT 1030, which is Gigabyte GeForce GT 1030 OC 2G. 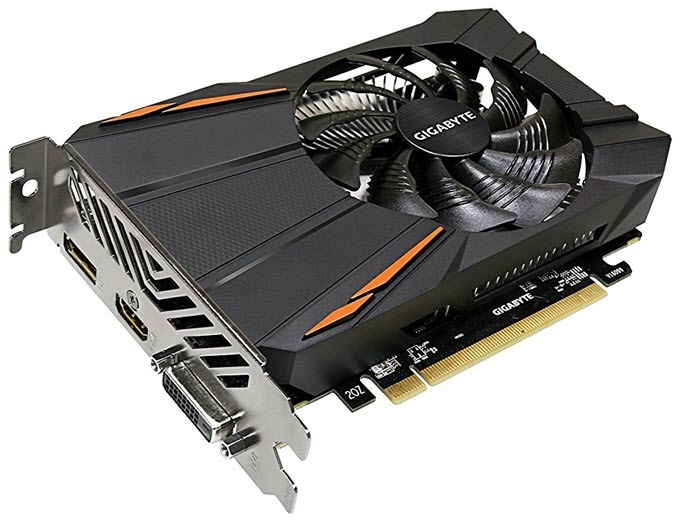 This Geforce GT 1030 card from Gigabyte comes with higher GPU Core clock and performs better than a reference GT 1030 card. The card performs almost equal to the GeForce GTX 750 Ti, which was a very good mid-range graphics card quite a while back. This is a very compact and small form factor graphics card and is cooled down by a single 80mm fan. 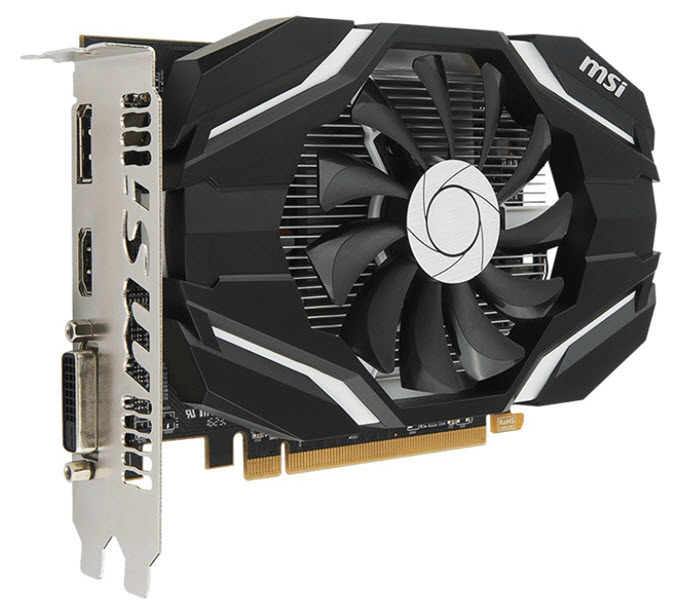 This is a pretty powerful budget graphics card and can play all of your eSports titles on medium graphics settings at 1080p with comfortable frame rates (around 50FPS or more). It is also a great card for video editing, HTPC and for 4K video playback. 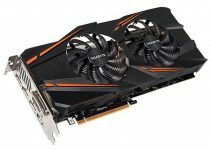 The card can be overclocked to the highest tested OC frequencies using One-click Super overclocking via Gigabyte’s Aorus overclocking software. The card consumes very less power and it does not require any external power connectors from the PSU. You can run this card comfortably on decent 300W power supply. Connectivity options for this card includes DVI and HDMI ports. Highly Recommended for users on tight budget. If you want something more powerful than Geforce GT 1030 then the answer is Geforce GT 1050. GeForce GTX 1050 is very good budget mid-range graphics card based on the Pascal GPU architecture. It comes with 640 CUDA Cores and 2GB GDDR5 memory having 128-bit interface running at 7GHz clock speed. Here we have ZOTAC GeForce GTX 1050 Mini which is SFF graphics card (only 145mm in length) and can fit in all small form factor and mini-ITX cases. For cooling, the card comes with an aluminum heatsink and a single 90mm fan. This card packs good amount for performance and offers great value for money. In fact, this is one of the most preferred budget graphics cards for eSports gaming. The card can handle games like Overwatch, Dota 2, WOW etc with ease at medium-high settings at 1080p. It can also play AAA titles like GTA 5, Assassins Creed Unity / Rogue, Battlefield 1, COD Infinite Warfare etc. on medium settings @1080p smoothly. This is a non-OC card but you can overclock this card for more performance using good overclocking softwares. The card is also well suited for HTPC, 4K video playback and for setting up triple display / multi-monitors setup. The card has lower power consumption and does not need external power from the power supply. The recommended PSU for this card is 300W only. Connectivity options include DVI, HDMI and DisplayPort. GeForce GTX 1050 Ti is a mainstream and a powerful mid-range graphics card built on the Pascal GPU architecture. It comes with 768 CUDA Cores and 4GB GDDR5 memory having speed of 7GHz and bus interface of 128-bit. 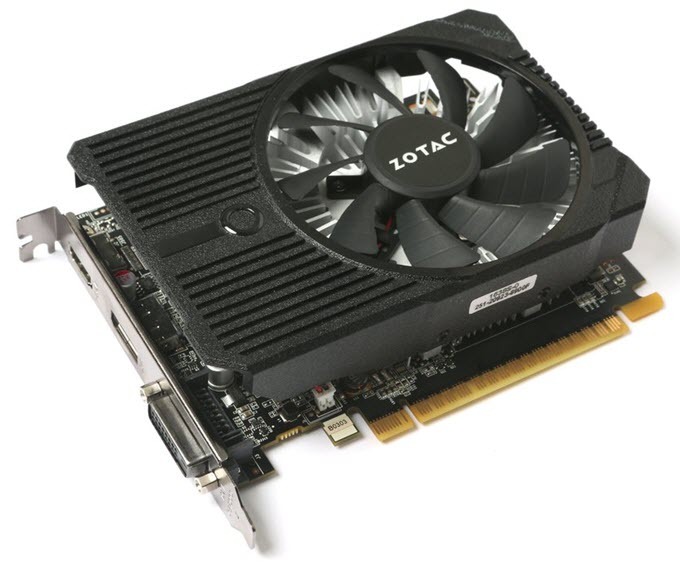 Here we have Zotac GeForce GTX 1050 Ti Mini which is a small form factor graphics card and shares the same design as that of the above mentioned ZOTAC GeForce GTX 1050 Mini card. GTX 1050 Ti is significantly faster than the GTX 1050 and it also comes with additional 2GB VRAM which can really help in latest AAA games that demands higher video memory. The card has got a single 90mm fan and aluminum heatsink for cooling. This graphics card is great for eSPorts as well for latest AAA games, and can run them on high graphics settings at 1080p with very good frame rates (60 FPS or more). 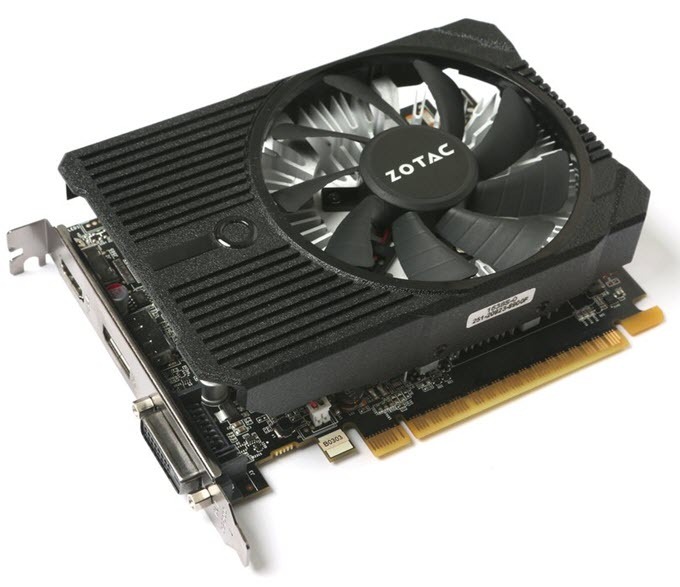 You may also overclock this card for extra performance using Zotac Firestorm or any other good overclocking utility. The card does not require external 6-pin or 8-pin power connectors and needs only a good 300W PSU for its working. Connectivity options include DVI, HDMI and DisplayPort. Highly Recommended by me. Here are the best budget graphics cards from AMD for eSports gaming. Radeon RX 550 is a budget graphics card from AMD bases on the Polaris GPU architecture. It comes with 512 Stream Processors and 2GB/4GB GDDR5 memory having 128-bit interface. Here we have Gigabyte Radeon RX 550 D5 2G that comes with 2GB GDDR5 memory and is an overclocked edition card. It is a compact card and has got one 90mm fan along with aluminum heatsink for cooling. Radeon RX 550 is a very good budget graphics card and has performance equal or slightly better than the GeForce GT 1030. Also, it offers higher memory bandwidth than GT 1030 because of its 128-bit wide memory bus. This card can play almost all your favorite eSports titles (Overwatch, CS:Go, WOW etc.) on medium-high graphics settings at 1080p resolution with respectable frame rates. It is also a great graphics card for HTPC, 4K/8K video playback and for general use. The card also supports Hardware-accelerated H.265 encode/decode. 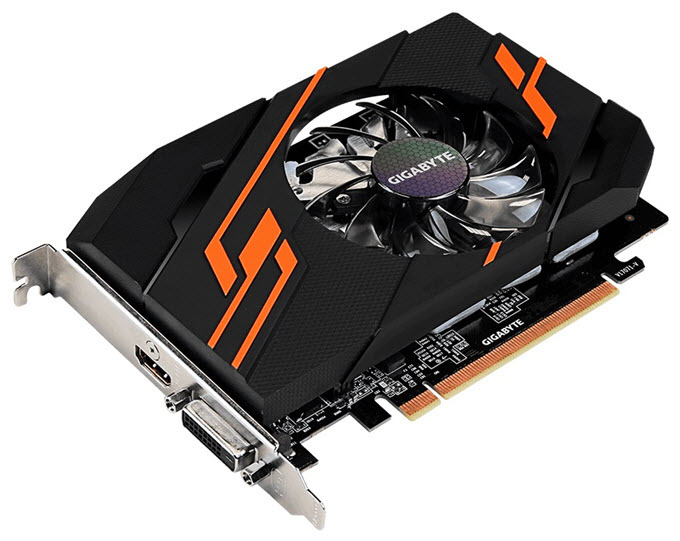 This Radeon RX 550 graphics card consumes a bit more power than its rival GT 1030, but still it does not require any external power connectors for its working. The recommended PSU for this card is 400W. Display connectivity options include DVI, HDMI and DisplayPort. Radeon RX 460 is Polaris based budget mid-range graphics card from Nvidia. The card comes with 896 Stream Processors and in 2GB or 4GB GDDR5 variants with memory interface of 128-bit. The main competitor of this card is GeForce GTX 1050 which performs a bit better than this card. Here we have MSI Radeon RX 460 2G OC which is a compact and overclocked Radeon RX 460 having 2GB GDDR5 VRAM. This dual slot graphics card comes with a single fan and aluminum heatsink for cooling. The card supports AMD FreeSync and AMD CrossFire (2-way) multi GPU technology. This is a great budget graphics card for eSports and for playing latest AAA titles at medium-high settings at 1080p resolution. Also, it can be also used for video editing, 4K display, multi-monitor setup and in HTPC. The card has power consumption of 75W and it does not need external power connectors from the PSU. It can run fine with a decent 400W power supply. 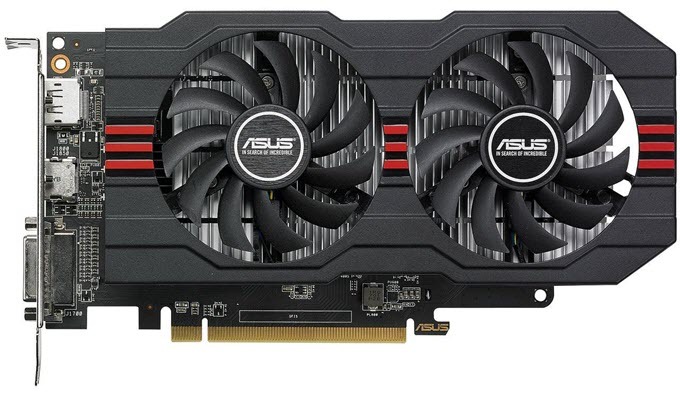 Connectivity options for this budget eSports graphics card include DVI, HDMI and DisplayPort. Radeon RX 560 is just a refresh of Radeon RX 460. Earlier Radeon RX 560 used to come with 1024 Stream Processors but now it has been downgraded to 896 Stream Processors from AMD. The card is based on the Polaris GPU architecture too. Here we have got Asus Radeon RX 560 4GB EVO OC Edition, that comes with 896 Stream Processors, 4GB GDDR5 memory with clock speed of 6GHz. It is an OC card and for cooling it comes with dual fans that are IP5X dust resistant. The performance of this card is similar to that of Radeon RX 460 and it can easily play all the eSports and latest games at medium high settings at 1080p with comfortable frame rates (around 50 – 60FPS or more). The extra video memory i.e. 4GB on this card can prove advantageous in latest games because newer games does demand higher video memory. The card does not require external power from the PSU and it draws all its power from the PCIe x16 slot on the motherboard. It has got almost all the display connectors including DVI, HDMI and DisplayPort. Note: GeForce GT 1050 and GT 1050 Ti from Nvidia supports G-Sync, while all the above mentioned Radeon RX graphics card mentioned here support AMD FreeSync variable refresh rate technology. 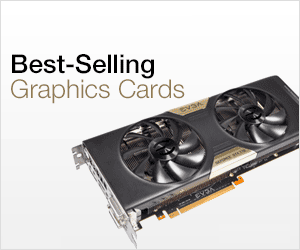 So, if you love eSports gaming and want a budget graphics card that can play all your favorite e-sports games at good graphics settings and resolution smoothly, then the above mentioned budget graphics cards will not let you down at all. These e-sports graphics cards are easy on your pockets and are also good for most of AAA games too. If you have any doubts regarding graphics cards or gaming build, then you can ask me your queries by leaving a comment below. Thanks for all you do. James. I love graphics cards and I also use one of the names is NVIDIA G-FORCE 930M on my ASUS laptop. But one problem has come to me that GTA5 runs slowly-slowly. You need a better graphics card to plat GTA 5 smoothly. I would suggest GeForce 940MX or higher GPU. I am preparing my new PC. I hope that I will get a new generation graphics card in it.